Feist chats about heavy metal, break-dancing and “sappy love songs.” And people call her adult contemporary. Feist’s publicist asks that I not bring up “1234,” the hit that sold umpteen iPod nanos. But as the 36-year-old talks with me, during a gauntlet of phone interviews, it’s clear the genuinely nice Nova Scotia native is up to chat about anything. In the five years since that cheery (but sad, if you read the lyrics) smash, Feist has collaborated with Beck, Wilco, Ben Gibbard, Mastodon, Stephen Colbert and the Muppets. Everyone wants to have her around. (Perhaps it’s true what they say about Canadians.) 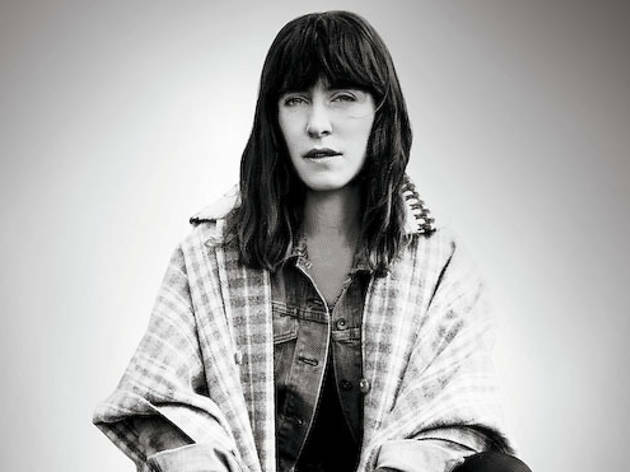 Feist’s music career started with a punk band. She later joined Broken Social Scene, but her solo career soon took her beyond the sprawling indie band. Her latest is 2011’s stark and haunting Metals. Are you kidding me? I didn’t know it was out. Where did you see it? Oh, my God, I’m really out of the loop. You have two break-dancers improvising to this pretty folk song. Those guys are incredible. What must they have been thinking? “What world am I entering here?” My video producer was encouraging me to make a video for one of the songs with a beat, something appropriate for dancers. I thought, It’s just too obvious. Why can’t we use them in a way that’s completely different to their world? Some people were surprised when you did a split single with Mastodon, a metal band. I’m a true admirer. There’s real potency in metal. Metal fans love metal as if it’s a nation they would fight for. It’s not diluted by pop culture. Covering one of their songs, I just thought the lyrics were heavy. The day we got their version of “A Commotion,” we were playing this big theater. We didn’t have a stereo, so we put it through the PA. The band and I laid on the floor and blasted it, blowing a hole through the ceiling. Your song “Graveyard” takes on a whole new meaning. You sing, “Bring ’em all back to life!” At first it was like you were shaking your fist at death. Now that you went metal, I can see it as, like, reanimating the dead. [Laughs] That’s amazing! Oh, my God, like zombies or something! Metals’ lyrics are not far off from metal. Yet there was a piece in New York last year that said you were boring adult contemporary. It angered me, as a fan of said “dull” music. Did it piss you off? I didn’t know about it. When I do a phoner like this, I can hear in the questions what the interviewer’s record collection is. They don’t listen with an open mind. The way they express their opinions, it says more about them than what I do. It’s all kind of arbitrary. Opinions are like snowflakes, you know what I’m saying? But I truly don’t take offense. I don’t think they’re right or wrong. People who say this record is so quiet and gentle, I’m like, oh, I guess you didn’t listen to it then. It’s a dark album. It’s too unsettling to be adult contemporary. Thank you, because that’s how I feel. But your opinion and my opinion are just as valid as the adult-contemporary opinion. On “Anti-Pioneer,” you mention a woman “singing sappy love songs.” Is that you? I put the song in third person, but I’m talking about myself. It’s a subterfuge. I’m trying to hide the fact that the song was about me. Except the irony is that now I sing live shows and some nights I’ll sing sappy songs. What sappy love song are you talking about? That’s one of the first songs I wrote. I wrote it before [2004’s] Let It Die came out. But I hadn’t found a record that it belonged on until now. Is there a common thread you look for in all the people you collaborate with? When I was in Beck’s world, I felt like the little sister. I’m in the big brother’s room with all his friends. You just hang out and keep your mouth shut so they don’t realize you’re there and kick you out. I like being in situations where I can be an underdog, where I can be in the corner and observe and soak it in. Early in your career, you stayed in England with Justine Frischmann of Elastica. She gave up music for painting. Would you? I admire those decisions. Like Patrick Daughters, who I’ve made a lot of videos with, he went back to school to paint. How does he manage to do something so impossible? To leave this world you built with sweat and tears? Yeah, sure. Music can’t be an assumption, or else I’ll just vaporize. What would you do otherwise? I don’t know. The day I know, I might go do it. 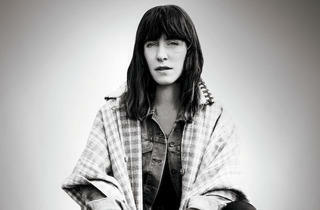 Feist headlines Pitchfork Music Festival July 13.